We have a fresh new design with instructions. This time it is Goliath, a monster robot. It walks, it moves the arms, and there is a pilot inside! This design uses the Activity Pack (the 300+ extra blocks). 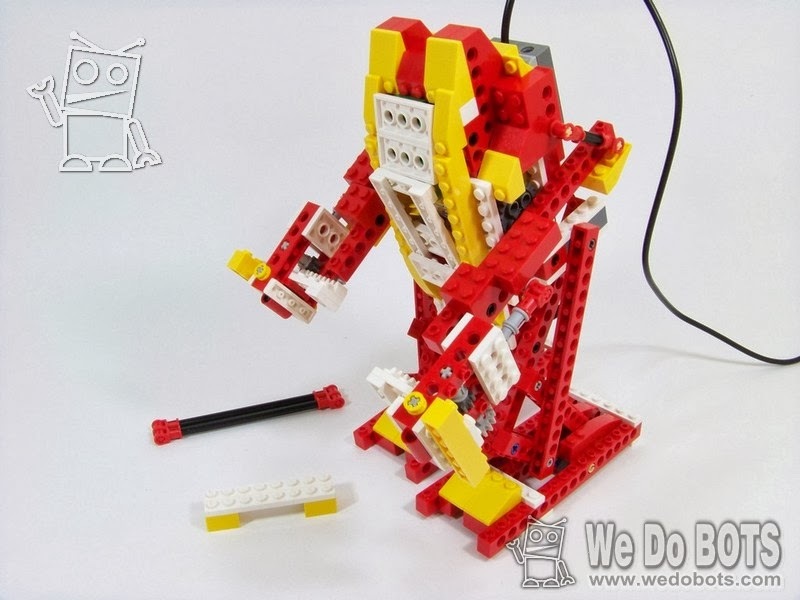 You may need a second WeDo set if you don't have it, or you may improvise with other LEGO bricks you have around. If you want to be up-to-date with news and more: subscribe to our channels on YouTube and Facebook. Click on the link for the photo instructions. Enjoy! Tenemos un nuevo diseño con instrucciones. Esta vez es Goliat, el robot monstruo. Camina, mueve los brazos y tiene al piloto dentro! Este diseño utiliza el Activity Pack (el set de 300+ piezas extra). Puedes ustilizar un segundo set de WeDo si no lo tienes, o improvisar con otros ladrillos de LEGO. Clic en el enlace para las instrucciones. Disfruten!